From CEA . . . 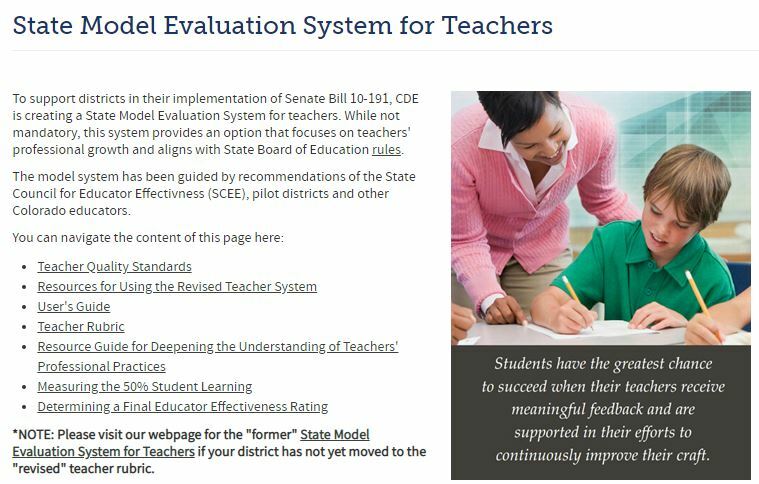 The Colorado Department of Education worked with a variety of stakeholders, including the Colorado Education Association, to design, develop and pilot the Colorado State Model Evaluation System. 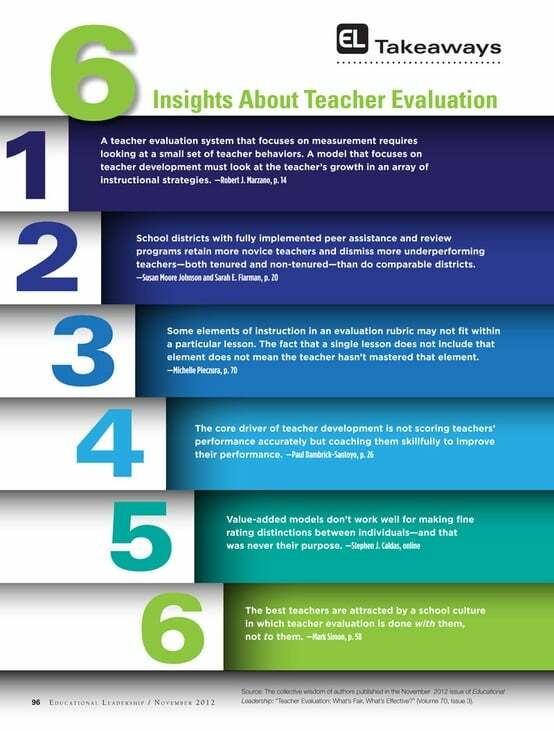 NEA Policy Statement, Teacher Evaluation & Accountability (May 2011) – NEA sets forth criteria for the types of teacher evaluation and accountability systems necessary to ensure a high quality public education for every student. In a partnership with Cherry Creek Education Association and CEA, teachers created examples of artifacts that may be used as evidence to support their practice. Teachers are encouraged to download and reference the following documents to help demonstrate mastery of and pedagogical expertise in the content they teach.